If you’re looking for computer desks to furnish your home office or business in the Atlanta, Georgia, area, turn to NorthPoint Office Furniture. We offer an incredible selection of new and gently used desks, most of which can be viewed in our local area showroom. 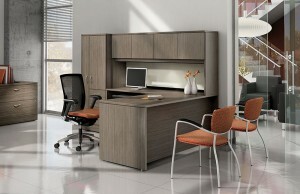 A member of our team will gladly show you each of our desks and help you select the ideal desks for your workplace. Additionally, our computer desks are available in several different styles, including L-shaped, U-shaped, corner, and bullet, among others. So no matter what your office space calls for or what your personal preferences are, you are sure to find an option in our expansive selection. For more information about our selection of computer desks, contact NorthPoint Office Furniture today or stop by our showroom. We proudly serve home and business owners in Atlanta, GA, and all surrounding areas.